Mexican Food is one of my all-time favourites, and I am an extreme burrito enthusiast - although I find good ones hard to come by! Living in a small-town in Nova Scotia doesn't really offer much on the Mexican food-front. 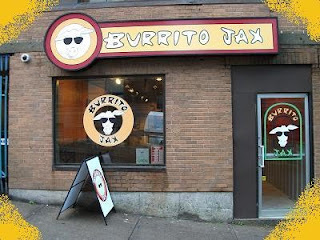 This weekend I was visiting Halifax and wandered past Burrito Jax - I naturally wanted to test out their burrito! I highly recommend giving this place a try - for lunch or dinner, they also do delivery! 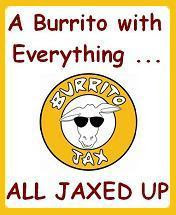 The really unique part about a burrito from Burrito Jax is the sweet potato puree that they add at the same time as re-fried beans. The sweet potato puree is a definite must when ordering from this little local shop! Check it out!